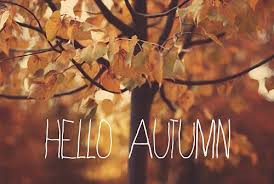 Entering into September can mean only one thing, Autumn is approaching! While most people desperately await the heat of Summer days, I can think of nothing better than the cool crisp weather of Autumn. Being the total geek that I am, September and the start of Autumn means I get to start a new school year. I'm sure many people wish for an endless summer holiday, whereas, by the end of the summer holidays I cannot wait to get back to my school work. Of course as a lover of Autumn I adore the sound of the crisp leaves crunching under my feet. the colder weather gives me the perfect excuse to drink plenty of hot chocolate loaded with cream and marshmallows! I absolutely love autumn fashion; knitted jumpers, boots, checked scarves and big coats! Halloween! Despite being 'too old' for trick or treating, no one can pass up free sweets so I like to 'borrow' a few of my little sister's trick or treat goodies. Not only do I love it for the sweets but I just think Halloween is just such fun! Decorations, costumes, pumpkin carving. What's not to love? So there's just a few of the reasons I just love Autumn, what's your favourite season?